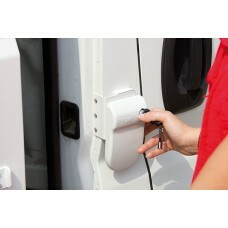 As most leisure vehicles are no very secure these extra security locks will make your van a little more secure. 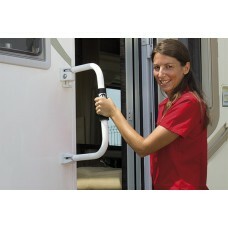 Motorhome, Caravan and Campervan Security blocks, handles and bars. Excellent protection against theft, also making a great visual deterrent. Rhino Installs can supply and fit additional security locks from manufacture such as Fiamma. Security locks, deadlocks giving visual and extra protection. Motorhome, Campervan and Caravan Fiamma security locks installations carried out by ourselves at our NCC Approved premises in Lancashire. Please contact us and we will be happy to help. We have fit to all types of motorhomes and caravans, Click here for pictures of our Lock installs. Fitted to manufactures such as Swift, Hymer, Bailey, Lunar, Burstner, Pilote, Rapido, Autotrail, Elddis, Besscarr, Globecar and many more.